The Greenlandic air traffic is integral to the society and its cohesion. Not counting transport at sea, the aviation infrastructure is the sole mean of transport that connects the country and creates the necessary connections to enable travel within Greenland and abroad. 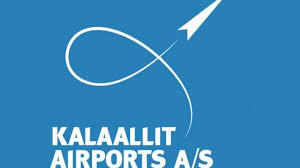 The Greenlandic Self-Rule government founded Kalaallit Airports A/S in 2016 with the purpose of building, owning, and operating two international airports in Nuuk and Ilulissat (both with a 2,200m runway) and a North Atlantic airport in Qaqortoq (1,500m). 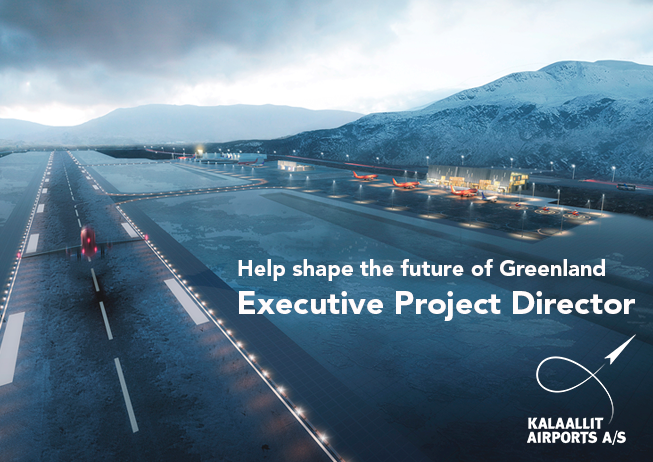 Investment in airports totalling almost 4 billion DKK will occur to strengthen the Greenlandic infrastructure, to enable the country to attract investments and strengthen its tourism, etc., and as the Executive Project Director you will have a central role in the largest and most important infrastructure project in modern-day Greenland. This project represents a major exertion of energy and money for the Greenlandic society, and it is paramount that this very large project is completed within the set limits of time, finance and quality. Ensuring this will be your responsibility. Overall management of the project setup and supervision of the organisation's, main contractors', suppliers', consultants' and advisers performance, with regards to time, finance, quality, environment and safety, as well as supervision to ensure that the projects are executed from tender to delivery. It is intentional that the project development and construction phases will not generate a large internal project organization, but that the company will largely rely on resources and expertise from external advisers and consultants. You will be based in the main office in Nuuk, where you will work and cooperate with competent and engaged colleagues, but travel to the other construction sites in Ilulissat and Qaqortoq will be required. You will form part of a two-person Executive management team alongside the company’s CEO. The Executive management team refers to the company’s independent Board of Directors. Tenders for civil works (runways, etc.) in the airport projects in Nuuk and Ilulissat have recently been issued to the six pre-qualified contractors, all of whom are large international contractors, and you will partake in the final stages of the election of the contractor who will be engaged to build the runways. As such, you will have a flying start as the begining of construction is scheduled for early in the fall of 2019. It is a benefit, but not a requirement, that you have experience with construction works under challenging climatic conditions. On a personal level, the task requires a cooperative but also firm disposition. You must have drive and be a strong negotiator. You must know what you want and be able to pursue your goal. An excellent overview and perspective, and the ability to see through the complexity of large tasks is essential. Finally a good intuition for where to invest your efforts to find good solutions is required. Feel free to contact chairman of the Board Jóhannus Egholm Hansen (+45 2389 8008 / johannus@kair.gl) or Director Jan Thomsen (+4040 7719 / jth@ramsdalgruppen.dk) for a confidential dialogue about the possibilities. Contact Jan Thomsen to request further background materials on the position and the task.